What are the Adventures of Young Indiana Jones? In this section you will find overviews and resources for the 22 chapters of The Adventures of Young Indiana Jones, plus the accompanying 94 documentaries. The Adventures of Young Indiana Jones, were created from the Emmy-award winning ABC television series The Young Indiana Jones Chronicles which ran from 1992-1996. The series of 22 feature-length chapters takes a younger Indiana Jones all over the world where he experiences many of the most important events of the early twentieth century. Young Indiana Jones serves as a perfect vehicle for revealing early 20th Century history to students. Following Indy as he travels across the globe gets students excited and involved as the stories unfold. If you’re still not convinced consider the 94 documentaries that now accompany the series. Each one ranges from 20-30 minutes in length, perfect for classroom use. Produced by Emmy-Award winning filmmaker, David Schneider, each documentary is skillfully edited to be highly informative while avoiding the boredom that plagues many documentaries. How can I purchase the DVD's? We don't sell the DVD's on our website, but copies are available on our Amazon store. If you're interested in Young Indy, we would appreciate your support! Proceeds help us keep the site up and running. George Lucas and Rick McCallum discuss their vision for The Adventures of Young Indiana Jones. The short clips highlighted below were released with the press kit for the 2007 DVD release. Take a look at them to learn even more about The Adventures of Young Indiana Jones! This clip displays the Indiana Jones style action and adventure that is found throughout the series. The Adventures of Young Indiana Jones was filmed on location around the world. See the many guest stars who were featured in the series. Indy learns the true cost of revolution. 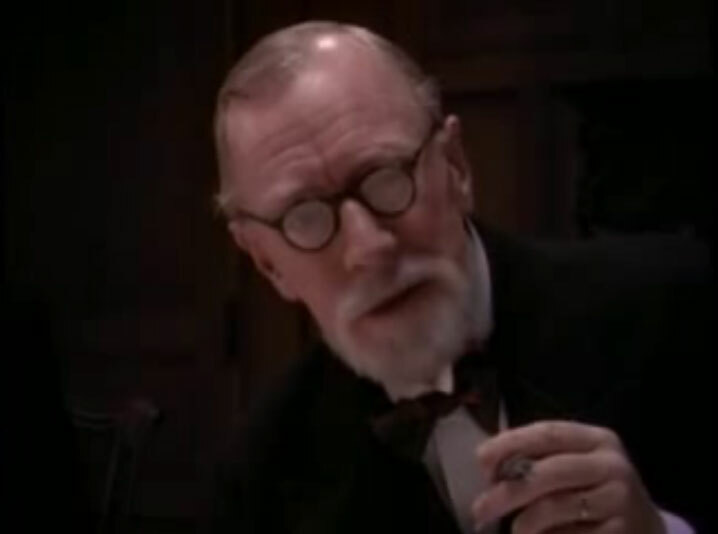 Indy learns about love from Sigmund Freud. 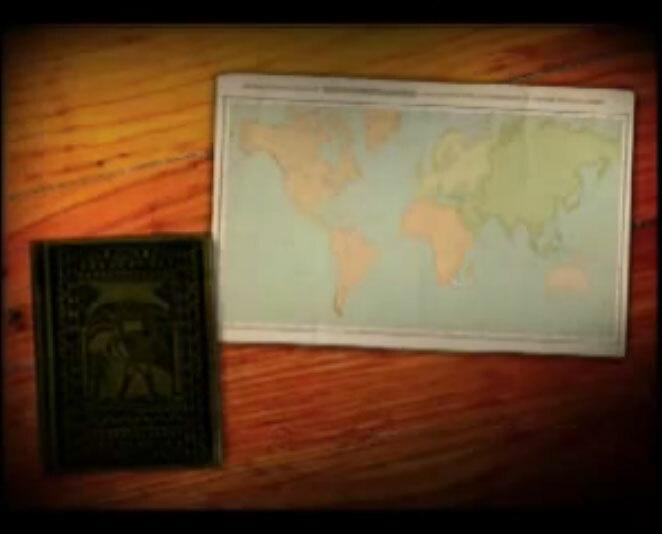 A short video that demonstrates the Interactive Timeline that comes on the bonus disc. Each Volume of The Adventures of Young Indiana Jones is packed with resources that are perfect for classroom integration! Below are five reasons why you should consider using the series in your classroom! Special thanks to George Lucas, Rick McCallum, & David Schneider for the great work they have done in making this series and the documentaries! Each volume of The Adventures of Young Indiana Jones includes 7-8 feature length Emmy©-award winning movies that take a younger Indiana Jones all over the world to participate in major events of the early 20th Century. Events include: key World War I moments, the Harlem Renaissance, Prohibition, Women's Suffrage, and much more! Each movie is packed with all the action, excitement, and comedy that you would expect from Indiana Jones. In addition to participating in major world events, Indy also interacts with some of the most well known people of the time period. Examples include: Thomas Edison, T.E. Lawrence, the Red Baron, Pancho Villa, Al Capone, and many more! 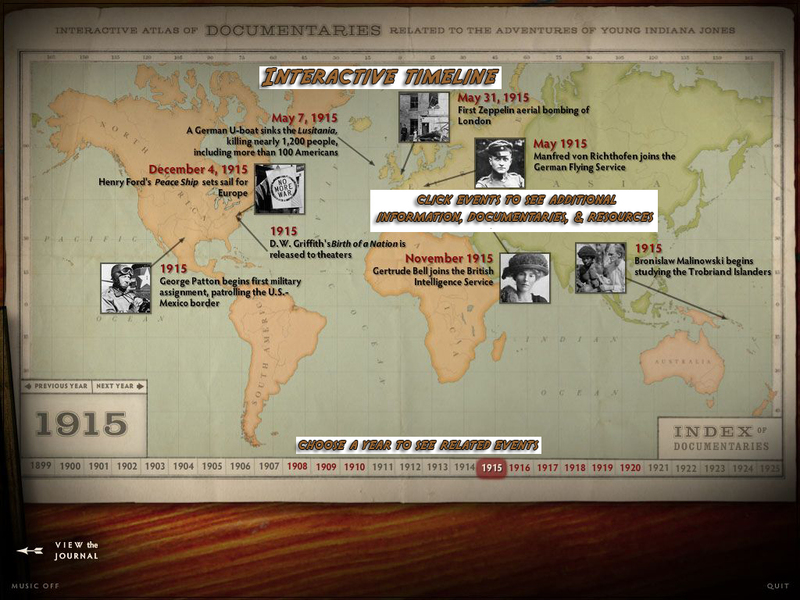 Each episode of The Adventures of Young Indiana Jones comes with accompanying documentaries ranging in lengths of 20-30 minutes, perfect for classroom use. Emmy©-award winning filmmaker David Schneider and his team at JAK Films spent nearly five years creating 94 documentaries to compliment the series. The documentaries are great ways to introduce, summarize, or go more in-depth with topics and people covered in each episode. Learn more and see exclusive documentary previews in our Documentaries section by clicking the appropriate tab above. The bonus disc that comes with each volume contains an Interactive Timeline that allows viewers to choose a year between 1899 & 1925. Each selected year shows major events that occured in the world. Many of the events featured in each year are "clickable" and reveal more information about the event or person, plus resources (see Reason 4 for an example). 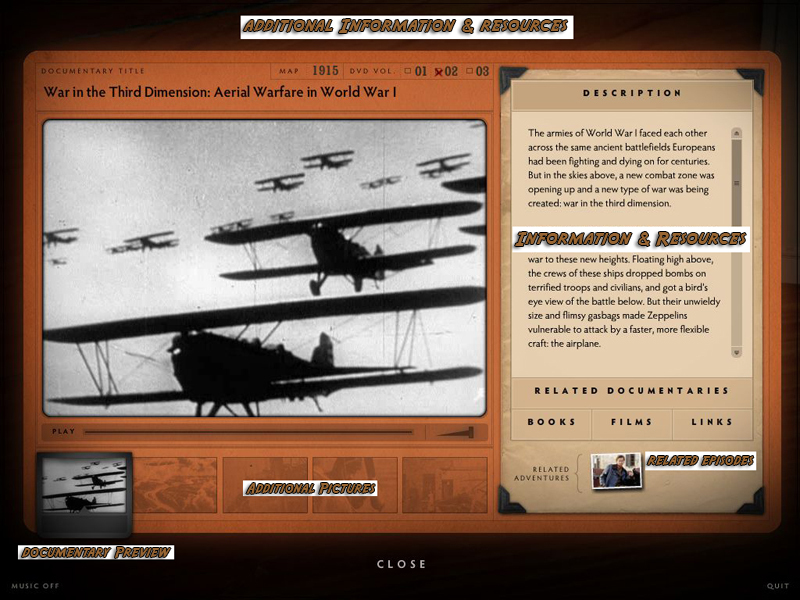 From the Interactive Timeline or Indy's Journal (see Reason 5) one may choose a topic, person, or event and be taken to a resource page where there is a preview of the accompanying documentary. Each resource page features descriptions, pictures and audio, website links, a list of relevant films and book resources, and other relevant documentaries in the series. 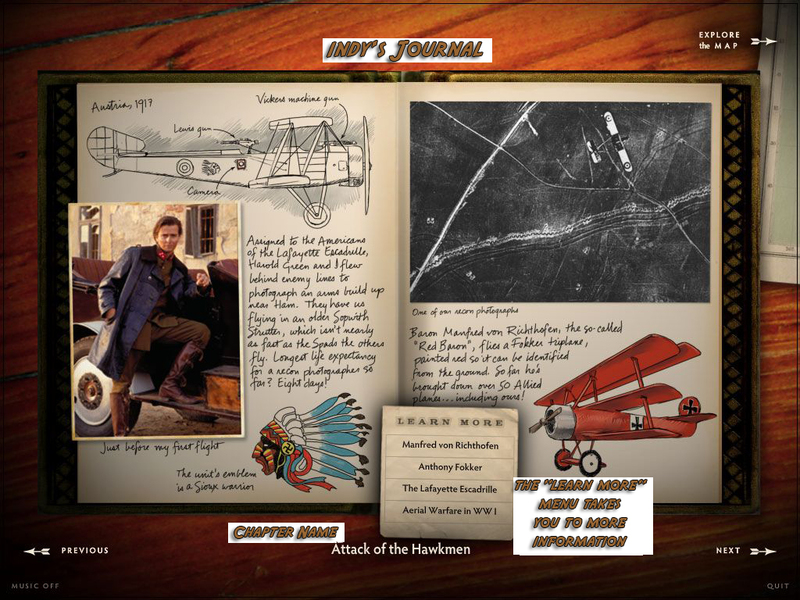 Indy's Journal is a great resource for educators to review the events of each Chapter and have quick links to the available resources and documentaries. The journal comes with the bonus disc in each volume. Another bonus is the three part lecture series with University of Texas history professor and author H.W. Brands. These lectures are a great addition for educators who need a concise overview of the time period and major topics/events featured in a particular volume. Professor Brands lectures could be shown to a class, but are better served as an overview for the educator. The format of these lectures combines Professor Brands recorded lecture with historical images and video. Each bonus disc comes with an interactive video game that allows the player (as Young Indy) to act out a specific adventure from the series. Indy must first choose what to bring on his adventure and then make important decisions along the way... in the style of The Oregon Trail. As they journey, players also learn about their surroundings, the people they meet, and the important events in which they are participating. These games are rightly suited for elementary to middle school level and include video clips from each corresponding film. Volume 1: Revolution- Indy helps Pancho Villa in Mexico (Spring Break Adventure). Volume 2: Special Delivery- Indy treks through the Congo to retrieve weapons (Oganga: The Giver and Taker of Life). Volume 3: Hunting for Treasure- Indy and Remy hunt for the Treasure of the Peacock's Eye. Chapters 1-5 take a nine year old Indy on a tour of the world with his parents and tutor, Miss Seymour. Join Indy as he explores ancient Egypt, ancient Greece, Africa, China, and Benares, India. Beginning with Chapter 6, sixteen year old Indy heads to New Mexico where he becomes involved in the Mexican Revolution and then travels to England to join the fighting in World War I. Purchase your copy! Indy meets T.E. Lawrence and Howard Carter while visiting Egypt. It is here Indy is first introduced to archaeology and Ancient Egyptian culture. 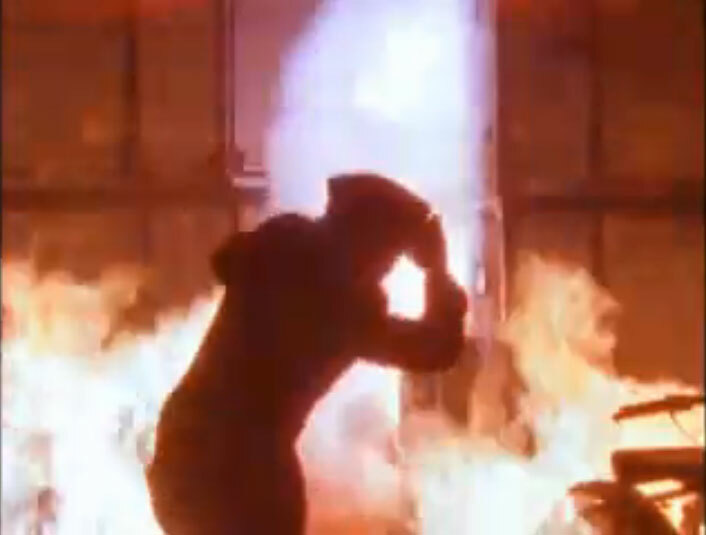 Later, Indy is captured by slave traders and must escape capture. Learn more! Passion for Life begins in Paris where Indy learns about art from a young Norman Rockwell and up-and-coming Pablo Picasso. Indy then travels to Africa where he goes on safari with Theodore Roosevelt and Frederick Selous. Learn more! Indy discovers Renaissance art and architecture in Florence and meets famed composer, Giacomo Puccini. On a visit to Austria, Indy finds himself falling in love with Princess Sophie and seeking out advice from the likes of Sigmund Freud and Carl Jung. Learn more! After a quick tour of Greece and lessons from Professor Jones in drama, philosophy, and democracy, Indy travels to Russia. There he decides to run away and happens upon a friendship with author Leo Tolstoy. Learn more! Indy meets Jiddu Krishnamurti while visiting Benares, India and learns about the religions of the world and their numerous commonalities. Later, while travelling through China Indy falls ill and is treated with traditional Chinese medicine. Learn more! Now 16, Indy becomes involved in the theft of a Thomas Edison invention and, with the help of his girlfriend, work to solve the crime. 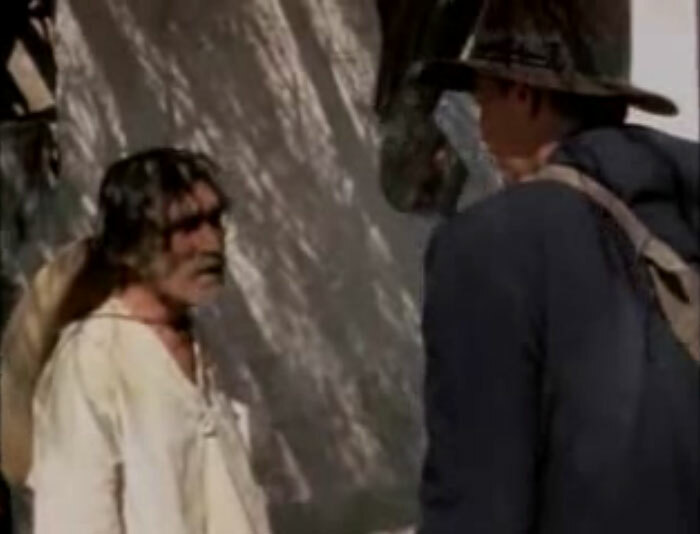 Later, Indy finds himself heading to New Mexico where he is captured by Mexican rebel, Pancho Villa. Learn more! Indy travels to Europe to join the Belgian Army in the Great War, but first stops in Ireland where rebellion is brewing. Once he arrives in England, Indy falls in love with a suffragette and joins her cause. Learn more! Volume two takes Indy through World War I, where he experiences the horrors of war in Verdun, the Somme, Africa, the Middle East, and revolutionary Russia. Indy's war service thrusts him into the trenches, behind enemy lines as a spy, a POW camp, and high into the skies where he battles the infamous Red Baron. Purchase your copy! After joining the Belgian Army, Indy is sent to the Somme where he gets his first taste of combat in the trenches. After being captured, Indy plans an escape with French Officer Charles de Gaulle. Learn more! Indy now serves as a runner on the battlefields of Verdun where he comes to grip with the futility of the Great War. On leave, he visits Paris and becomes entangled in an espionage dilemma with Mata Hari. Learn more! Indy and Remy are transferred to the African Front. There they are teamed up with Indy's old friend Frederick Selous and his "Old and the Bold" comrades and tasked with destroying the elusive Phantom Train of Doom and capturing German General, Paul von Lettow-Vorbeck. Learn more! Indy and Remy are ordered to travel across Africa's treacherous terrain to retrieve much needed artillery. Along the way their group falls victim to jungle diseases. Just when it seems all hope is lost they are rescued by humanitarian and doctor Albert Schweitzer who teaches Indy about the "reverence for life." Learn more! Now working with the French Secret Service, Indy is sent to the Lafayette Escadrille to assist in aerial reconaissance where a close encounter places Indy at the dinner table of the Red Baron. Later, Indy goes behind enemy lines to convince plane engineer, Anthony Fokker to defect to the Allies. Learn more! Danger lurks around every corner as Indy is once again sent behind enemy lines. This time he is tasked with arranging a separate peace with Austria's Emperor Karl I. Indy is then sent into the heart of Russia to gauge its growing revolution led by Bolshevik, Vladimir Lenin. Learn more! Indy travels to Barcelona where he works with fellow spies to discredit a group of German diplomats while undercover as a dancer with the Ballet Russes. Learn more! Now in the Middle Eastern Front, Indy leads a dangerous deception regarding the Australian Lighthorse's daring attack on Beersheba. Learn more! Volume three sees Indy through the final months of World War I where he continues his work as a spy. After witnessing the failure of the Versailles Treaty, Indy heads home to America where new adventures await him in scandalous New York City, jazzed Chicago, and hilarious Hollywood. Purchase your copy! The Italian Front brings death and destruction, but also love and friendship for Indiana Jones. Follow Indy as he competes with Ernest Hemingway for the heart of the beautiful Guiletta and then travels to Morocco to investigate a series of gun thefts. Learn more! Indy travels to Turkey where he attempts to negotiate peace with Ataturk. He then ventures to Transylvania (the home of Dracula) to investigate the mysterious deaths of numerous allied soldiers. Learn more! In this exciting adventure, Indy pursues the Treasure of the Peacock's Eye and travels from the battlefields of Europe to the jungles of South Pacific islands. Learn more! At the Paris Peace Conference, Indy watches as the Allied powers restructure Europe, Africa, the Middle East and plant the seeds for World War II and lasting social unrest across the world. He then returns to the United States to find little has changed at home. Learn more! Now a student at the University of Chicago, Indy discovers his love of Jazz and befriends Jazz legend Sidney Bechet. He also gets caught up in the racial tension and organized crime that plagued 1920's Chicago. Learn more! Indy finds himself in New York City where he's caught in a love triangle. Working as a Broadway stagehand, Indy meets Tin Pan Alley legend, George Gershwin. Learn more! Indy moves to Hollywood where he takes a job as a stuntman in the budding film industry. He works with legends like Irving Thalberg, Erich von Stroheim and John Ford. Learn more! Each volume of The Adventures of Young Indiana Jones is packed with documentaries that serve as excellent educational resources. Each documentary ranges from 20-30 minutes in length and are well suited for viewing and discussion in a single class. In all there are 94 documentaries that accompany the three volumes of Young Indy. Below is a list of the Documentary Dimensions. Many of the documentaries fall into multiple categories. Each dimension is sorted by Young Indy Chapter. Exclusive previews are also available for each documentary! Be sure to acknowledge the filmmakers who put these documentaties together by visiting our credits page. Documentary preview for Lines in the Sand: The Middle East and the Great War. This documentary accompanies the Young Indy Chapter Daredevils of the Desert found in Volume 2 of The Adventures of Young Indiana Jones. Choose this dimension to view the documentaries that accompany a specific Young Indy Chapter. 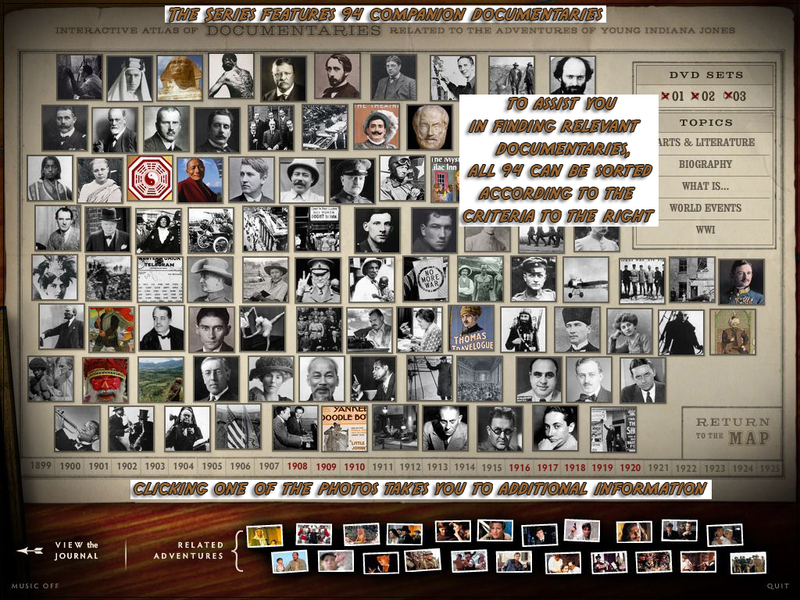 Select this dimension to see a list of all 94 documentaries and their accompanying Indy chapters. Choose this dimension to view the 44 documentaries that are topical. Examples include: The Somme, Opera, Ballet, The Easter Rebellion, etc. Learn more about many of the people that Indy meets in his adventures by selecting one of the 57 biographical documentaries. See all 16 documentaries that relate to the Fine Arts (art, music, dance, acting, etc.). Check out the 17 documentaries that accompany early 20th Century literature. Choose this dimension to see the 35 documentaries that supplement World War I. In this section you will find current event articles that relate to the real-life events, topics, and people found in The Adventures of Indiana Jones. Educators can use these current events to connect our past with the present day. To see current articles for a specific Indy Adventure, please click the appropriate link below. For the most recent articles, please scroll down. **Choose the appropriate film below to see relevant articles. The movement for women’s suffrage began in earnest with the Seneca Falls convention of 1848 and faced fierce resistance for decades. In Britain and the United States, suffragettes calling for the right to vote were regularly arrested and subjected to brutal imprisonment and torture. It’s a Friday afternoon in Memphis and we’re in the midst of the 32nd annual International Blues Challenge, at a barbecue joint on the legendary Beale Street, where 150 people are waiting for a musician named Redd Velvet. I have been told she’ll be worth the wait, that there may be nothing more important onstage this week. So I’m there when this 40-something black woman walks onstage with a no-frills blue dress and an unmistakably regal bearing. There’s no band behind her. No instrument in her hands. It’s just her and a mike. She sits. Folks in the audience are still chatting, there’s a small din, so Redd looks around the room with piercing eyes, letting you know she’s not talking until it’s quiet. The flock who came to see her says, “Shhh!” The crowd settles down. With that Redd has set a high bar for herself—if you demand everyone to shut up before you start talking, you’d better have something to say. British archaeologists have reported the discovery of massive walls that appear to be part of a Dark Ages palace complex that existed around the same time and place as King Arthur’s birthplace in the famous legend of Camelot. For decades, art conservationists have relied on methods like the chemical analysis of miniscule flecks of paint and detailed knowledge of the exact pigments used to restore paintings faded by the years. Now, using a powerful X-ray scanner called a synchrotron, a group of researchers have uncovered an early draft of a portrait by Edgar Degas. In our current moment, stars like Beyoncé, Lena Dunham and Taylor Swift tweet their feminism loud and proud, Hillary Clinton stands a very good chance of being elected president, Facebook’s Sheryl Sandberg urges women to “lean in,” and Nigerian novelist Chimamanda Ngozi Adichie’s TED talk “Why We Should All Be Feminists” has been viewed 2.9 million times. Which makes it hard to believe that not all that long ago a woman needed a man to get a credit card, emplorers advertised for "male" and "female" jobs, and the only way for a woman to end an unwanted pregnancy was via an illegal, often dangerous back-alley abortion. Alexander the Great rode into the city of Pasargadae with his most elite cavalry in their bronze, muscle-sculpted body armor, carrying long spears. Some of his infantry and archers followed. The small city, in what is today Iran, was lush and green. Alexander had recently conquered India. Greece, Macedonia, Asia Minor and parts of Egypt were all part of his new empire. The people of Pasargadae likely expected the worst—when the world's most dangerous cavalry shows up on your street, you are probably going to have a bad day. But he hadn't come to fight (the city was already his). A modern human who lived in what is now Romania between 37,000 and 42,000 years ago had at least one Neanderthal ancestor as little as four generations back—which is to say, a great-great-grandparent. A Dozen Indigenous Craftsman From Peru Will Weave Grass into a 60-Foot Suspension Bridge in Washington, D.C.
As much as maize, or mountains, or llamas, woven bridges defined pre-Columbian Peru. Braided over raging rivers and yawning chasms, these skeins of grass helped connect the spectacular geography of the Inca empire: its plains and high peaks, rainforests and beaches, and—most importantly—its dozens of distinct human cultures. Britain is to fund a new corps of Indiana Jones-style ‘rescue archaeologists’ to salvage historic sites from Islamic State’s rampage across the Middle East. Ahhh, this polyurethane is setting up too quick,” exclaims Allis Markham, proprietor of Prey Taxidermy in Los Angeles. “Sorry, I’m molding bodies right now,” she adds, apologizing for the interruption in our conversation. The first-ever papal encyclical on the environment, though widely anticipated and foreshadowed by earlier Vatican communiqués, still landed with elemental force. The environmental treatise is an emotionally charged, at times scathing look at how humankind has forsaken its stewardship of the earth in favor of a “throwaway culture.” Yet again, Pope Francis has made the most of his bully pulpit. Where Do Important Ivory Artifacts Fit in the Race to Save Elephants from Poaching? On Friday June 19 nearly one ton of illegal elephant ivory was crushed in New York City’s Times Square. The public event was intended to make a dramatic statement that the United States will not tolerate trafficking in illegal ivory. On December 5, 1930, just over 12 years after the end of World War I, German moviegoers flocked to Berlin’s Mozart Hall to see one of Hollywood’s latest films. But during the movie, a cadre of 150 Nazi Brownshirts, nearly all too young to have fought in World War I, were led into the theater by propagandist Joseph Goebbels. Spewing anti-Semitic invective at the screen, they repeatedly shouted “Judenfilm!” as they tossed stink bombs from the balcony, threw sneezing powder in the air, and released white mice into the theater. A somewhat shocking turn of events, considering the movie was the highly anticipated adaptation of countryman Erich Maria Remarque’s novel All Quiet on the Western Front, the blockbuster novel that had transfixed the nation months earlier. They show the battered wrecks of several of the 25 warships - 14 of them British - that were blown up during the Battle of Jutland on 31 May, 1916. Among them is HMS Invincible which was torn apart by a German shell, killing more than 1,000 sailors. HMS Defence and HMS Queen Mary were also scanned during the survey. When German U-boat Commander Walther Schwieger ordered a torpedo strike on the Lusitania, he didn't know it would be the shot that eventually led the U.S. into WWI. But it wasn't a mistake, either. When ISIS bulldozed the 3,000 year-old city of Nimrud, countless artifacts were lost. There are clandestine groups working to halt the destruction of Iraqi heritage through education and smuggling, while nearby countries are guarding what they can. But now many fear that all that remains of Nimrud’s impressive winged bull statues, intricate relief carvings and ancient walls are photos. Still, even those photos can be valuable. Archaeologists are using those images to create 3D reconstructions that can be studied digitally, reports Jonathan Webb for BBC News.